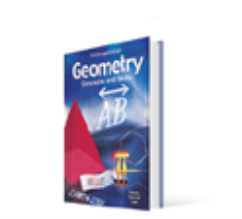 This course goes through the basic skills and concepts of a Geometry course. Students will learn a lot of new vocabulary and begin to use their spacial minds. Students will also get lessons on logic which leads to proof writing. The following link will take you directly to the resources of the book. DO you need additional help for your assignments? The following site is additional problems, lesson examples and tutorials for concepts and skills. Click on the link below and choose the chapter and section that you are struggling with.